← What do you need to give up? In Todd’s last post, he talked about the Leadership Pipeline and the idea that, as leaders, we need to give up part of our leadership past as we move into new levels with new challenges. Sometimes, the very thing that makes a leader successful at one level can be career-limiting at the next. I can think of several examples of executive leaders who were not able to give up the detail work, causing frustration for the subordinates whose job it was and preventing the leader from paying attention to big-picture issues. This got me wondering if the same thing is true for organizations. 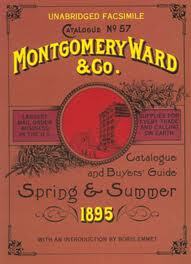 Montgomery Ward and Sears Roebuck were industry leaders in mail-order shopping. But somehow they were not able to leverage their customer service expertise and data tracking systems in a new electronic market. Maybe they were not quick enough to figure out what they needed to give up in order to focus on what their new leadership roles could look like. As we’ve learned from Charting the Future, MnSCU is facing a new marketplace. As a leader of higher education within Minnesota, we have been successful in preparing the past generation of Minnesota’s workforce. We have the chance to maintain that leadership as a system that is responsive and collaborative. What do we need to give up in order to remain successful in our new role? This entry was posted in change and transition, higher education, Leadership. Bookmark the permalink.